One of our most popular solutions - connect almost any audio device to your B&O audio system via the AUX input sockets! One of our most popular solutions - connect almost any audio device to your B&O BeoSound, BeoMaster or Beocenter music system via the AUX or TAPE input sockets! One of the first Sounds Heavenly products to launch - and still today one of our most popular! 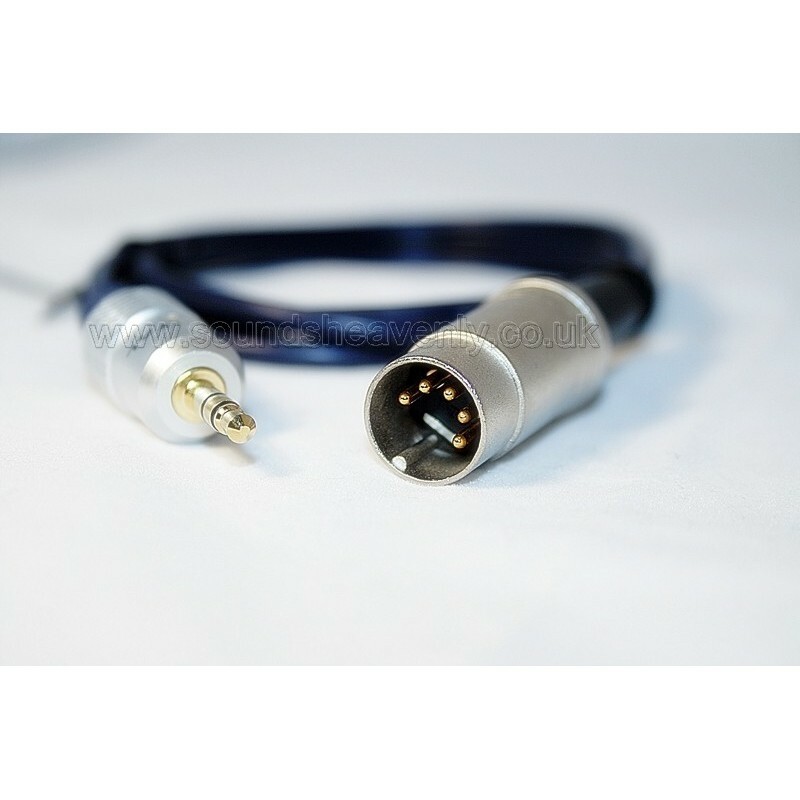 Our high quality input cable allows you to connect a non-B&O audio device (such as a TV, iPod/iPad/iPhone, Mac/PC computer, MP3 player and more!) into your Bang and Olufsen audio system using the "Tape" or "Aux In" socket. Compatibility: This cable will fit almost all B&O music systems manufactured since 1960 (requires an Aux or Tape DIN socket, 5 or 7 pin). Please check compatibility before you buy - if you are in any doubt, please ask! Minijack is also known as a 3.5mm stereo jack (TRS) or 1/8" jack - this is the headphone connection found on most devices today (such as iPods or computers). We chose 5 pin DIN cables as they fit and work perfectly in the 7 pin DIN Aux sockets on most B&O systems. Little known fact: the extra two pins are only used for sending remote control data to other B&O products - hence they are spare in this application. Additionally this design choice also allows the cables to fit pre-1986 B&O products (which came fitted with 5 pin DIN sockets). Trying to connect a BeoSound 4 or BeoCenter 2? Those systems have RCA connections for the Aux Inputs instead of the usual B&O DIN sockets. This cable is often used to connect an iPod to a B&O BeoSound 3200 or BeoSound 9000 CD player - simply plug into the headphone socket and select A.Aux on the remote!